Attica, Athens. Circa 440-404 BC. 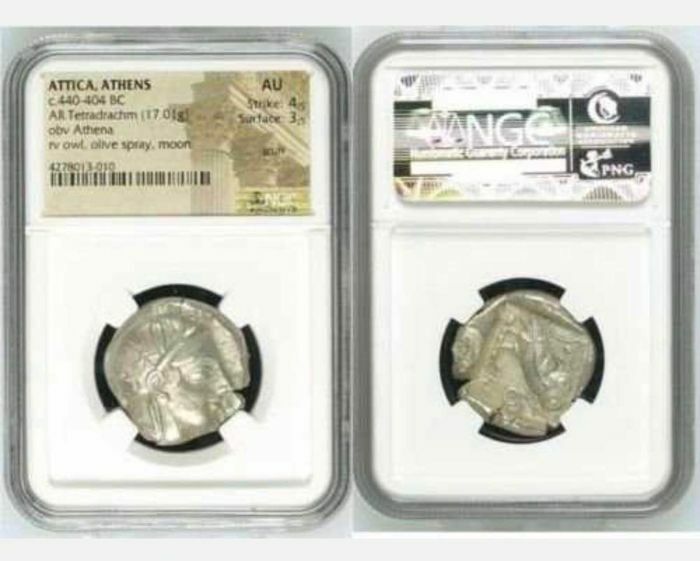 AR / Silver Tetradrachm (17.01 g). 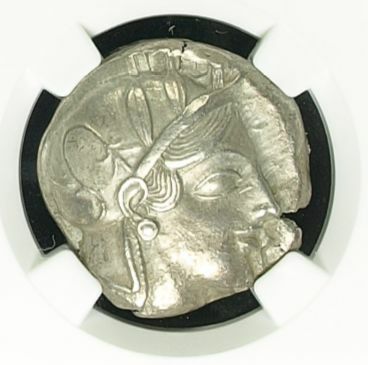 Obv: Helmeted head of Athena right with frontal eye. Rev: Owl standing right, head facing; olive sprig and crescent behind; all within incuse square. Vous pouvez également retirer ce lot chez le vendeur: New York (New York), États-Unis.